Read Genesis 47-48 at Bible Gateway. I want to write about Jacob’s blessing of Joseph’s sons in Gen 48, and his sons in Gen 49-50 tomorrow! 2A: Gen 46:31-47:27, Joseph the provider. 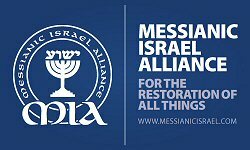 When we consider that Joseph is prophetic of Messiah, that Messiah was cast down in the will of God, to be brought up in the will of God, in order to preserve life – our life, we can see that this central axis promise applies to us as well who have placed our trust in Messiah Yeshua! Egypt is a type of the kingdom of darkness. It is a type of the exile we are in, dwelling in the kingdoms of this world which is not our home. God has surely been with His people – that is you and me! – while they have dwelt in Egypt. God has surely made His people into a great nation – the kingdom of heaven -while they – we – have been exiled in Egypt. And God will also surely bring His people – that is you and me! – up again, and bring us to the kingdom He has promised us for our inheritance and our dwelling place! The tenderness of God’s promise and reassurance blessed me so greatly today!